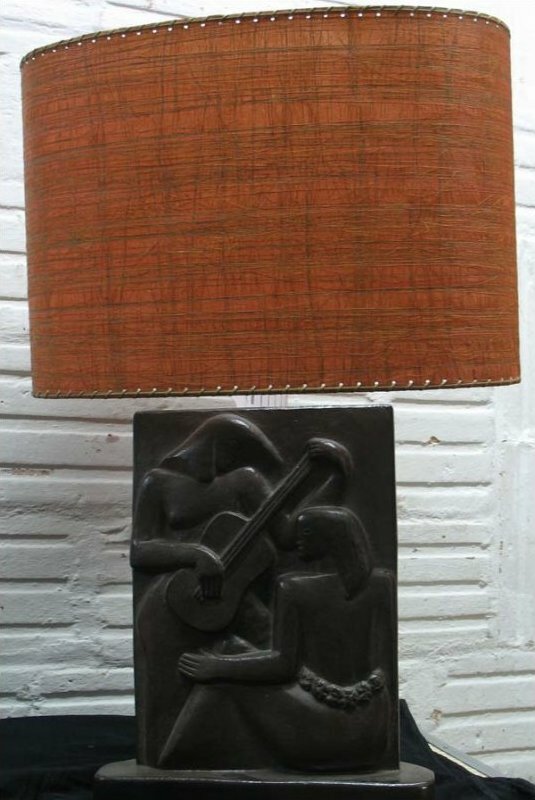 American Folk Art > ANTIQUE FOLK ART > FOLK ART > SCULPTURE / FIGURES > DECO-ERA MEXICAN FIGURES LAMP, Riviera Co.
Stylized Mexican figures in high relief on a molded ceramic base of triangular form. Original paper label beneath Riviera Co| California. Original triangular grasscloth shade has a few dents. A distinctive period addition to your home| as well as useful.